Short hairstyles are both sassy and fabulous. Opting for the crop is not only refreshing, but it keeps your hair healthy and presents you with endless opportunities for styling – especially if you choose a cut which is both cool and contemporary. Indeed, it is often mistaken that shorter hair isn’t quite as versatile as long hair, but this gallery is here to prove that statement oh so wrong. 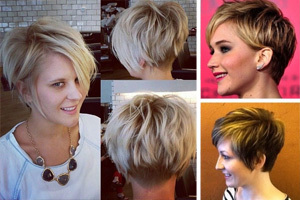 Here’s a collection of cool and contemporary short haircuts which we simply cannot get enough of. The bob cut is changing rapidly and the best short haircuts for 2017 feature several new twists on the short bob to keep your image fresh and contemporary! Colours are the best way to express your personality – don’t you agree? 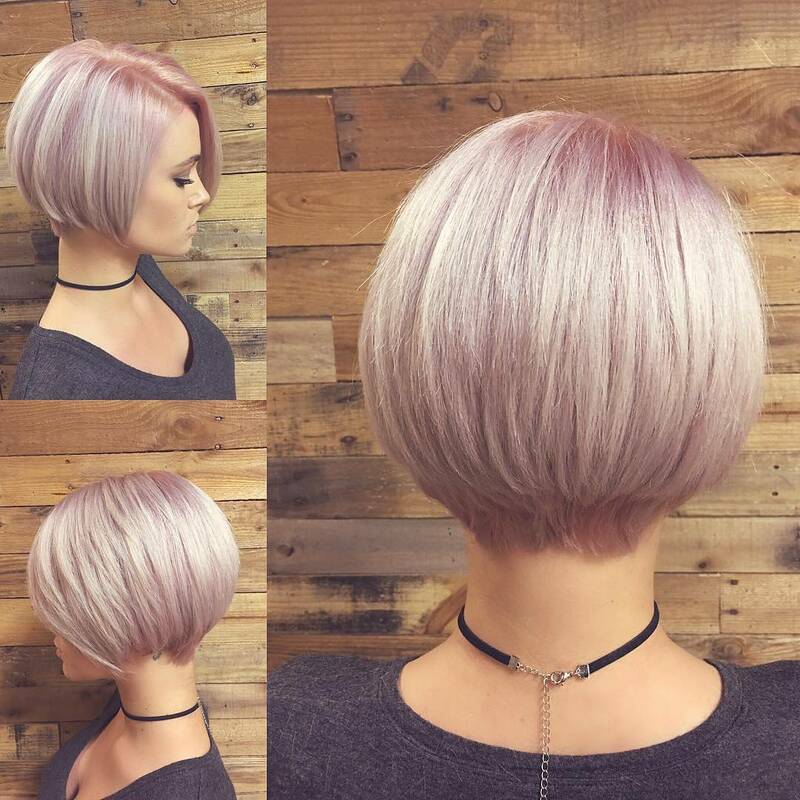 Why not jazz up your contemporary short hair cut with a sassy colour as is pictured above? 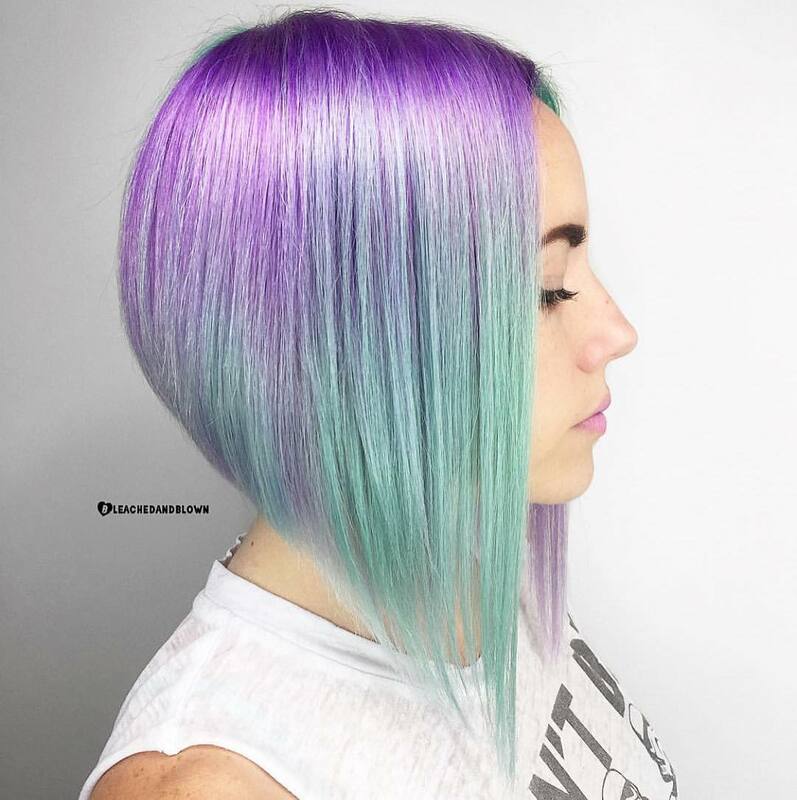 This lady works her incredible graduated bob style into a range of colours. 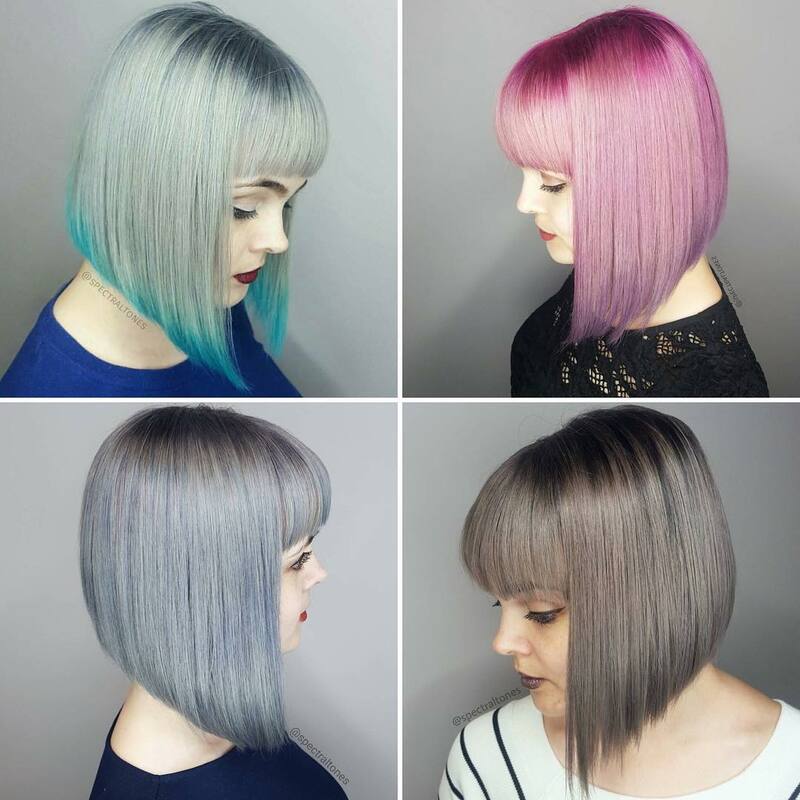 From blue to green, pink to grey, each of these amazing looks works perfectly with a straight and sleek bob. Be sure to keep the ends graduated from long at the front to short at the back. 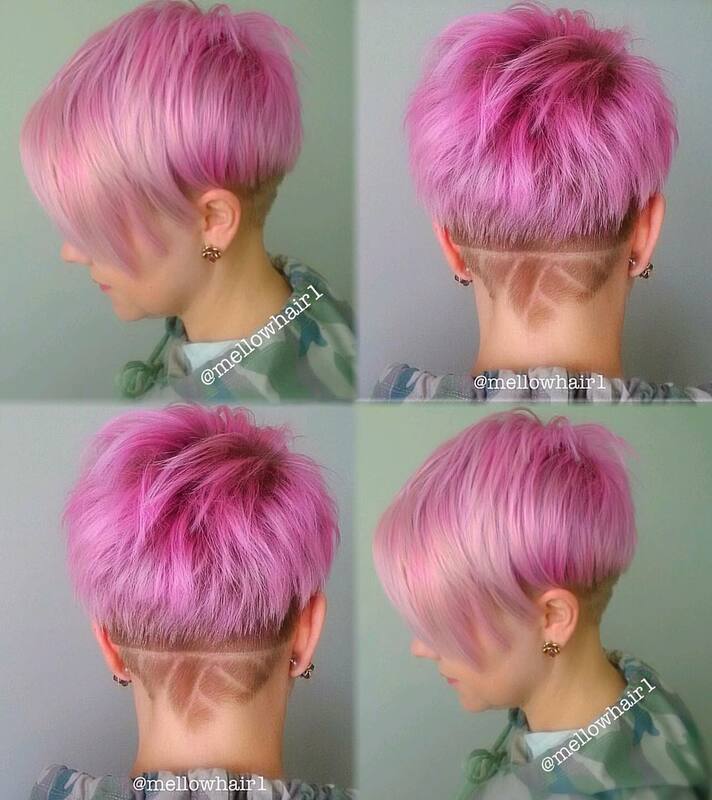 Undercuts are incredible in the world of pixie cuts, allowing you to implement some cool patterns into your modern haircut. Start by asking for a classic pixie style. Keep the bottom layer cropped close to the head with cool shaved patterns. 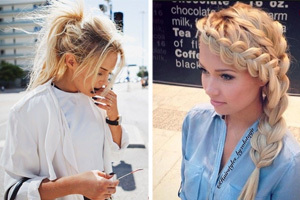 Leave the hair longer on top to form a long sweeping fringe section. Dye the hair a bright bubblegum pink to finish. Keep straight and sleek to show off! The silhouette of this gorgeous curved bob is absolutely to die for. Recreate this amazing style by asking for a pretty bob which falls around the jaw length. Keep the layers long and sleek to form an incredible curved silhouette which is glossy and shiny. Dye your hair a beautiful pastel shade of silvery pink and keep straight and sleek to show off the amazing shape. Blue locks that are tousled too? 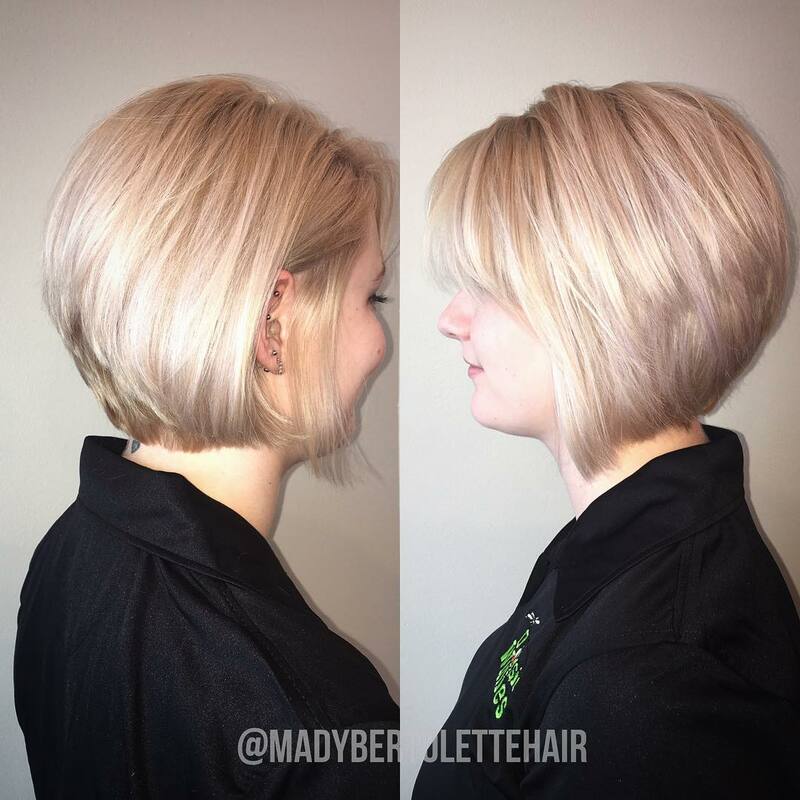 There’s no way we could leave this amazing contemporary bob out of this gorgeous gallery! Start by chopping your hair an inch or so below the jaw level. Leave it full of choppy and cool layers throughout the bob for a bouncy finish. 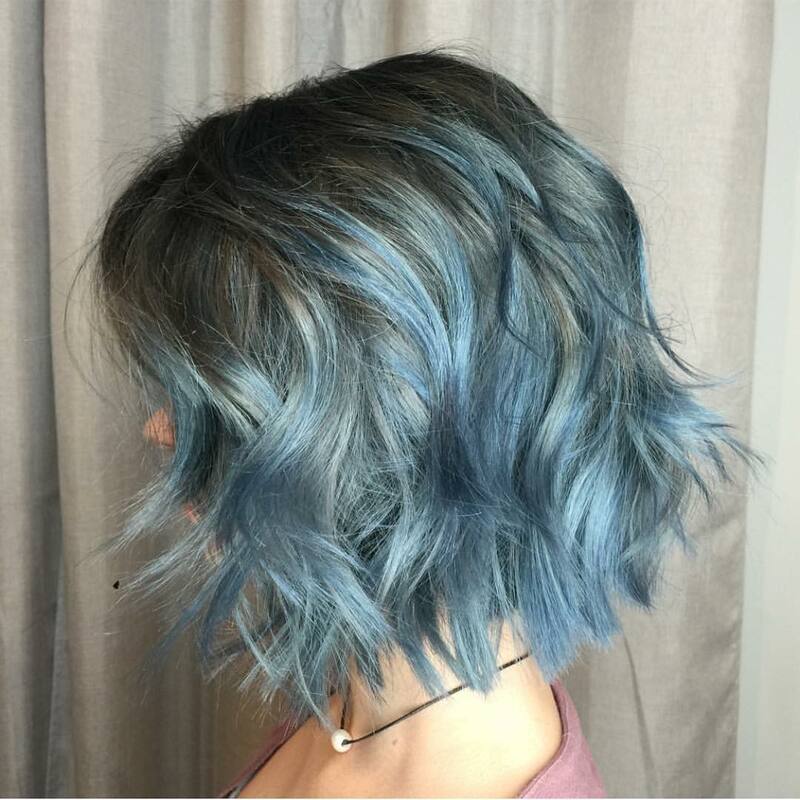 Dye a bright and vibrant shade of blue and curl the ends to finish. 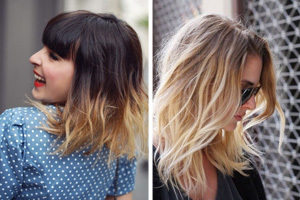 Ombre blends work exceptionally well with short hairstyles too! 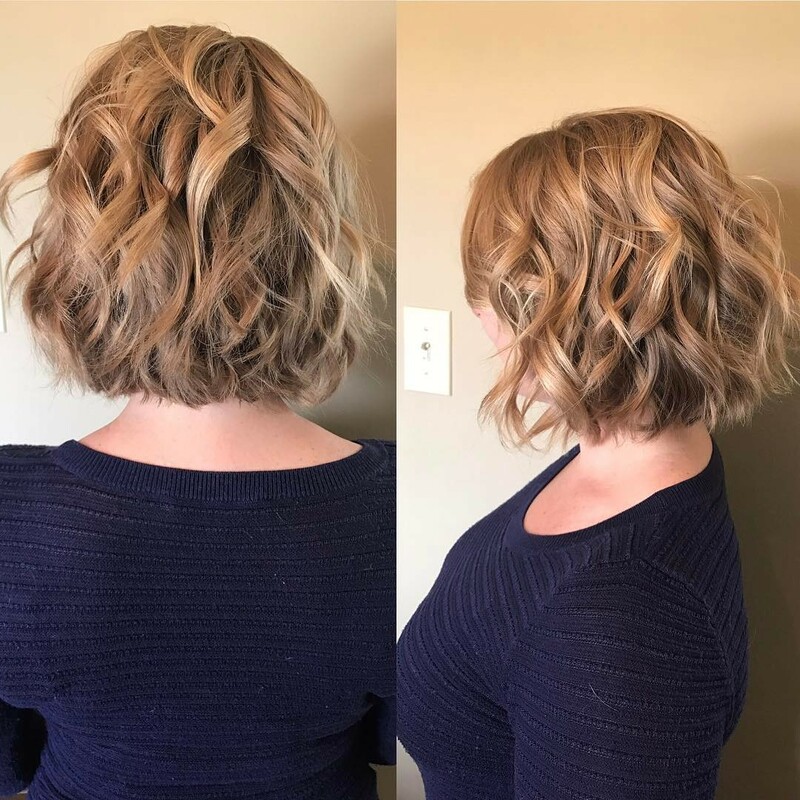 Steal this amazing straight bob style by asking for a cool graduated bob. Keep the front sections of hair longer towards the front of the face. Graduate the ends towards shorter layers at the back of the head. Dye the roots a pretty pastel purple and blend downwards to a gorgeous teal shade. Keep straight to show off the colour transition. Copper is a stunning shade of hair colour which we cannot get enough of – especially when combined with a cool and contemporary pixie crop. Recreate this look by opting for a short pixie cut which falls around the ear length. Add lots of longer layers to the top of the head to form a cool fringe section which frames the face to perfection. 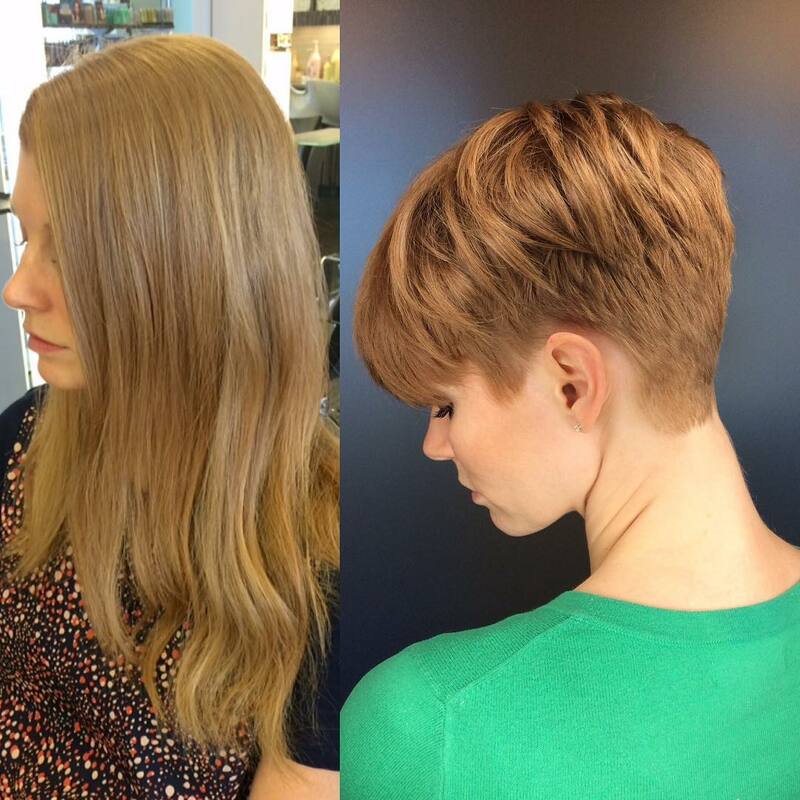 Texture is everything when it comes to short hair – and adding some to your style can truly transform your look. 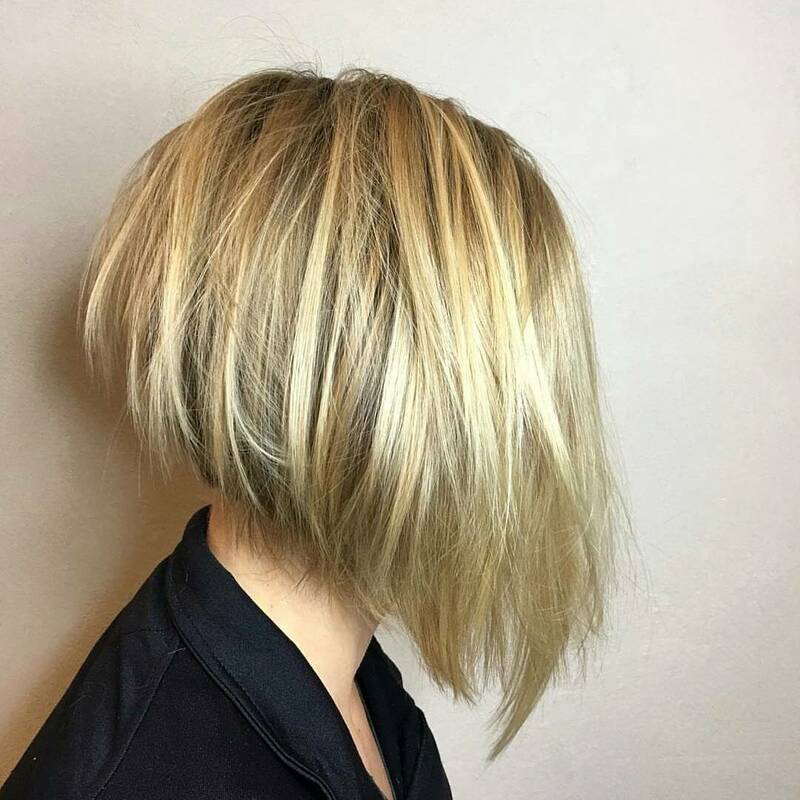 Steal the style of this beautiful blonde bob with ease. 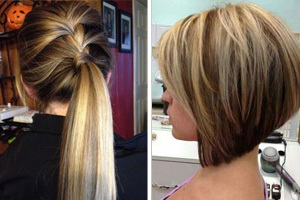 Ask for a graduated bob with layers which are shorter at the back of the head and longer at the front. 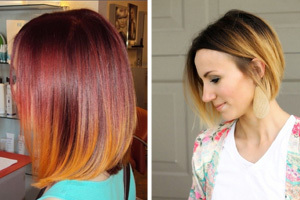 Dye your bob a beautiful shade of golden blonde. Tousle the hair roughly for a fabulous finish. Wedged bobs are some of our favourite cool and contemporary short haircuts available. We can’t get enough of the gorgeous curved silhouette adding lots of layers creates! Steal this style by opting for a classic bob which falls around the jaw level. 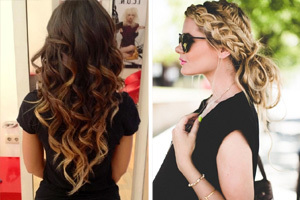 Add lots of lovely short layers to the back of the head for a curved silhouette. Dye it a bright white blonde to finish and you’re ready to go! Caramel is a lovely and warm shade of blonde which absolutely brings this incredible hairstyle to life. steal this curly style with ease by working your hair into a medium length bob which falls an inch below the jaw level. Add lots of layers throughout and dye a rich caramel colour. Curl with lovely ringlets from top to bottom for the ultimate bouncy finish. Peachy pink is a gorgeous pastel shade which is perfect for spring or summer. Combine that with a sassy pixie cut and you’ve got yourself a winning hairstyle. 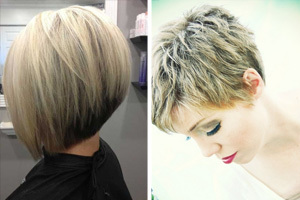 Chop your hair into a gorgeous pixie cut leaving the front section long. This will form a fabulous sweeping fringe effect. 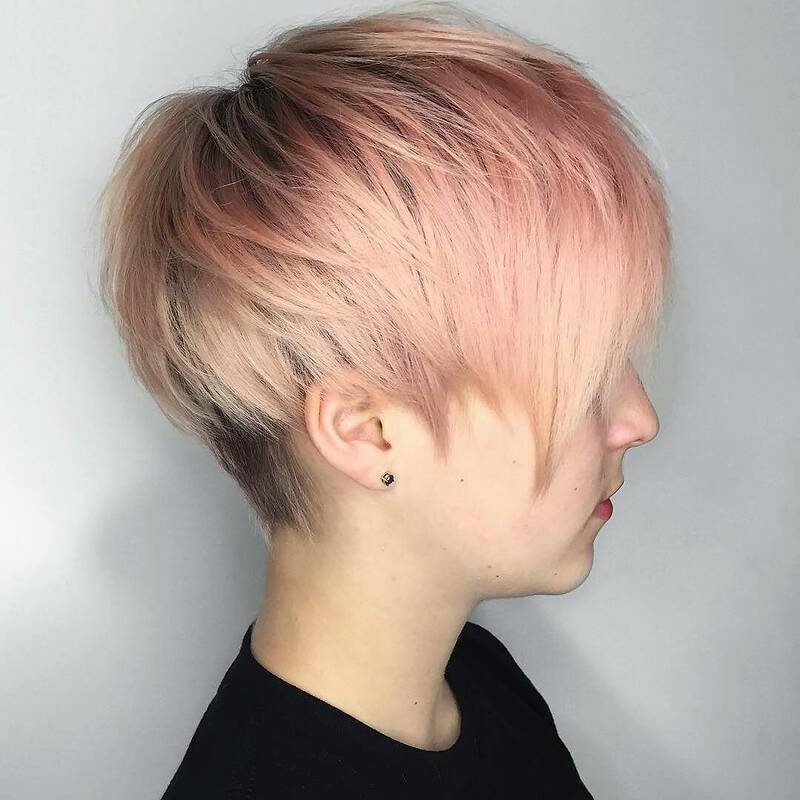 Dye a gorgeous pastel shade to add light and lift to the cut.